In order to answer that question one has to compare the cost of desalinating a liter of water and the cost of transporting a liter of ice water from the South Pole. Now transport. The idea is to tow icebergs, but it needs to be realized that icebergs have 90% of their volume under water, resulting in a lot drag, drag that can be avoided by transporting the ice as water in a stream-lined oil tanker. The idea was to tow the iceberg to the Gulf (losing valuable water during the trip, due to melting) and break it up there. But if you have to break it up anyway, why not doing that at Heard Island, melt it there and transport it as water in oil tankers to the Gulf? So what’s the cost of transporting 1 m3 of pure water per km? On page 2: 0.5 BTU per ton-mile or 0.00023592296 kwh per ton-km. The distance to be bridged is 8833 km, which results in 2.1 kWh/m3, ignoring the energy cost of the empty ship sailing back to Heard Island. So according to this back-on-an-envelope calculation there is indeed some energy gains to be made by transporting rather than desalinize, but it is not spectacular (merely 2.1 over 3 kWh/m3). And there are several parameters that could tilt the balance to either of these options. The Gulf region has abundant solar irradiation and a lot of otherwise useless desert, that can be used to build huge solar parks, delivering low cost solar energy, that be be used for desalinization. On the other hand, the oil-tanker, or water-tanker rather, can be equipped with huge sails to save on fossil fuel. Tentative conclusion: yes transporting ice-water from the Antarctic could compete with local desalinization of sea water, but it is difficult to identify which method will prevail in the end. Technology will decide. [theguardian.com] – Peak salt: is the desalination dream over for the Gulf states? There is nothing against towing icebergs to Dubai. It is a matter of offsetting the towing costs against the cost of desalinization. The Middle East has 70% of the world’s desalinization capacity. Israel & Jordan need water and decided to implement a decades old plan, namely to transport water from the Red Sea to the Dead Sea via a canal. Volume: ca. 300 million m3/year. [source] Dead Sea from Masada. 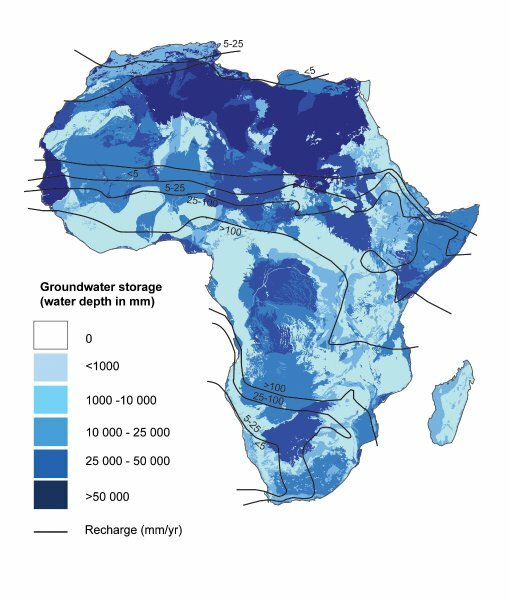 Two new studies show that the world’s population is consuming groundwater at a rapid pace even without knowing when it might run out. 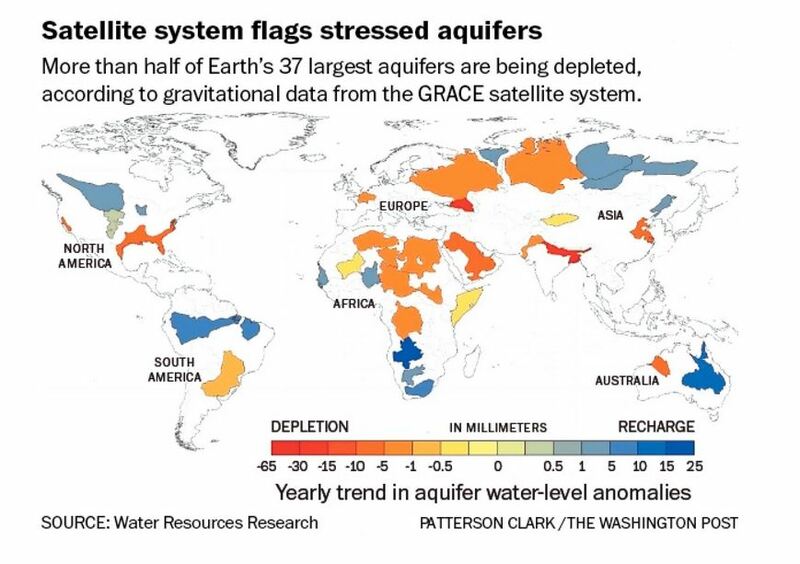 Satellite data revealed that a third of the world’s largest groundwater basins are in extreme distress. However, it is difficult to say how much water still remains in them. January was the driest in California since record-keeping began in 1895. Groundwater and snowpack levels are at all-time lows… As difficult as it may be to face, the simple fact is that California is running out of water — and the problem started before our current drought… Right now the state has only about one year of water supply left in its reservoirs, and our strategic backup supply, groundwater, is rapidly disappearing… First, immediate mandatory water rationing should be authorized across all of the state’s water sectors… A recent Field Poll showed that 94% of Californians surveyed believe that the drought is serious, and that one-third support mandatory rationing. [latimes.com] – California has about one year of water left. Will you ration now? 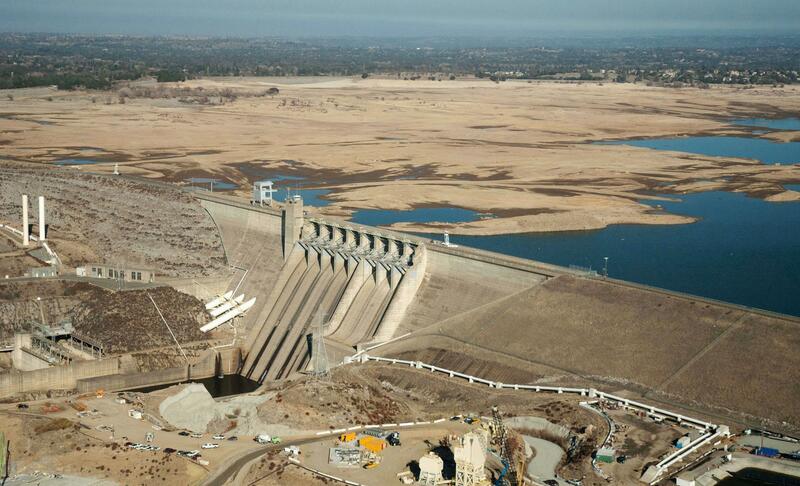 Gepubliceerd op 23 dec. 2014 California’s Central Valley groundwater is being depleted much faster than it can be replenished. The future looks very bleak if this drought and record amounts of pumping aren’t stopped. Youtube: Uploaded on Oct 14, 2010 Turning Icebergs into Drinking Water? It’s a common mistake to confuse ice fields, which are composed of frozen seawater and populated with polar bears, with icebergs, our floating mountains composed of frozen drinking water. 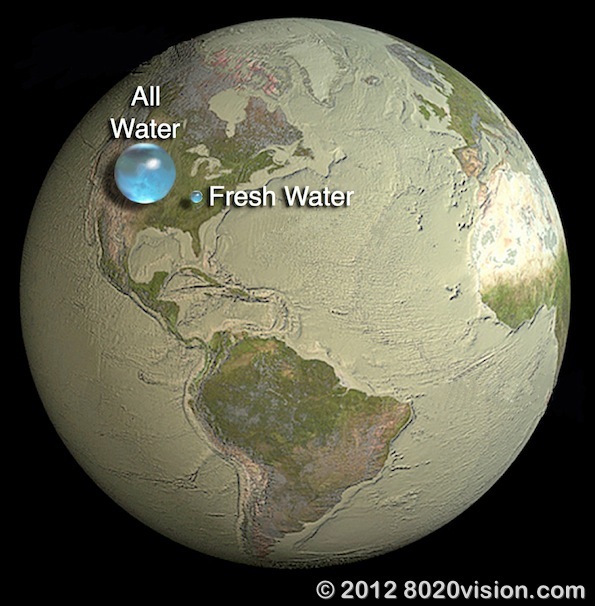 And did you know that, each year, the equivalent of the world’s supply in drinking water melts away into the ocean? Why should just sit by and let this happen? Why not use icebergs as an alternative source for drinking water? This is French Arts & Métiers Engineer Georges Mougin’s dream since 40 years! At first this idea may seem too outlandish, but perhaps Mougin is a visionary? Dassault Systèmes has decided to help Mougin reexamine his project with the help of 21st Century technology. And what if 3D scientific simulation and a virtual worlds can give life to an idea that died down last century? Perhaps this was due to technology-linked obstacles and limited knowledge of our oceans and weather. Perhaps Mougin was ahead of his times… A documentary under the direction of Jean-Michel Corillion is being made to tell this story. It’s called Ice Dreams and in a few months will be broadcast in various countries. We’ll keep you posted as the details unfold. But for now, enjoy the sneak preview below! – Location: Mattmark, Saas-Almagell/Wallis/Switserland, 2197 m above sea level. Power is mainly generated down the valley in Stalden at 715 m.
– Capacity: 77,500,000 m3 or 254.5 GWh (the energy content of the lake is worth ca. 51 million euro/66 million $ consumer electricity, consumer endprice assumed to be 20 euro cent per kwh). Or alternatively: the lake energy content represents the equivalent of one million man year of hard physical labour, assuming one man day = one kwh (in reality it is less). Adding a non-working woman and two children to the equation to replace the worker after two generations, the energy stored in this lake represents the labour equivalent of a nation like Denmark. In other words: it would take one million Danish men one year of carrying water from Stalden (715 M) to Mattmark (2197 m) in order to fill an empty lake. Come to think of it, we doubt if a Dane is able to lift 77.5 mm3 over 1200 m in a years time. Assuming three climbs per day of 33 liter each makes 0.1 mm3 per day or 775 days non-stop working for 77.5 m3. Swap Denmark for Sweden and you have the real picture: this relatively small power plant generates as much energy as all adult Swedish males combined can produce by muscle power. Figures likes these make it clear why energy can no longer be taken for granted and that real wealth is represented by kwh and not paper money. The Gordon Gekko’s of the future will be those who understand the true meaning of the Mattmark hydro power plant in particular and energy in general rather than money and interest. – Power: 130.3 MW, both in Stalden and Zermeiggern (Saas-Almagell), fully integrated in pan-European network. Yearly production 665 GWh, meaning that per year slightly more than twice the content of the lake is converted into electrical energy. A mini-reservoir in Zermeiggern is used to store energy by pumping water upwards to the Mattmark lake at times of low demand. The dam was built between 1960-1965, but was interrupted for two years because of the largest accident in Swiss building history, as 88 men were killed after a piece of a gletscher broke off. Picture from the US Geological Survey (USGS). Water might cover 70% of the planets surface, but in reality oceans are shallow on a global scale. Of that water (1386 million km3 in total or a sphere with a radius of 693 km, see picture) only a small fraction of 0.77% (sphere with radius of 137 km, see picture) is usable fresh water (ground water, lakes, rivers, etc.). An additional 1.74% is stored as glaciers, ice caps and permanent snow, but is not accessible and usable. Eole Water has designed a revolutionnary wind turbine, the WMS1000 which is able to create drinkable water only by using air. The turbine is fully self-sufficient, featuring the most eco-friendly water production system ever designed. Ocean Power Technologies, Inc… today announced the successful completion of extensive factory acceptance testing of the first of its next generation power take-off (“PTO”) units for the Company’s utility-scale PowerBuoy®, the PB150. The PTO has now been shipped from OPT’s facility in Pennington, New Jersey to Oregon Iron Works, where it is in the process of being integrated into the spar of the buoy in preparation for deployment off the coast of Reedsport, Oregon. The new direct drive system is a much larger version of that which was recently utilized in the Company’s PowerBuoy deployed off Oahu, Hawaii, for two years in a project with the US Navy.